When it comes to natural hair, Nature has a solution. My Natural Hair has carefully selected a blend of natural actives to treat and improve the health of your natural hair, naturally. My Natural Hair’s Hydration Mask is a thick blend of Coconut, Olive, Jojoba Oils and Shea Butter. The formulation effectively coats each strand, unmasking your natural hair’s potential, with a boost of organic nourishment for noticeably softer, detangled and hydrated natural hair. The Natural Hair Struggle is real, but it doesn’t have to be. Look no further, Nature has the answers, and we’ve been listening. Turn your natural hair into a crown fit for a queen with My Natural Hair’s Hydration Mask. With its opulent moisturising natural actives, your natural hair will glow with god-like health and radiance. 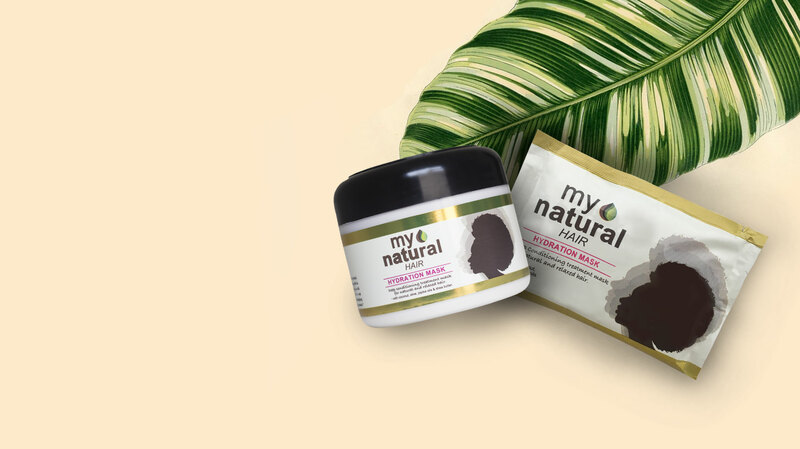 When your natural hair has been through the most, there’s no need to call 911, The My Natural Hair’s Hydration Mask is here to save the day. Restore your hair’s health, with this nourishing blend of natural potency. Perfect for post braiding treatments, extreme climate exposure, or harsh chemical treatments.